The information on this page is compiled to the best of our ability from various sources, including Public Utilities Commission data, California Broadband map, advertised service areas from providers, websites, and word of mouth. It will not always be accurate, coverage will likely be over-stated, and we may have inadvertently omitted providers. Please use this information as a useful guide only, and contact individual providers to get definitive answers on service availability. 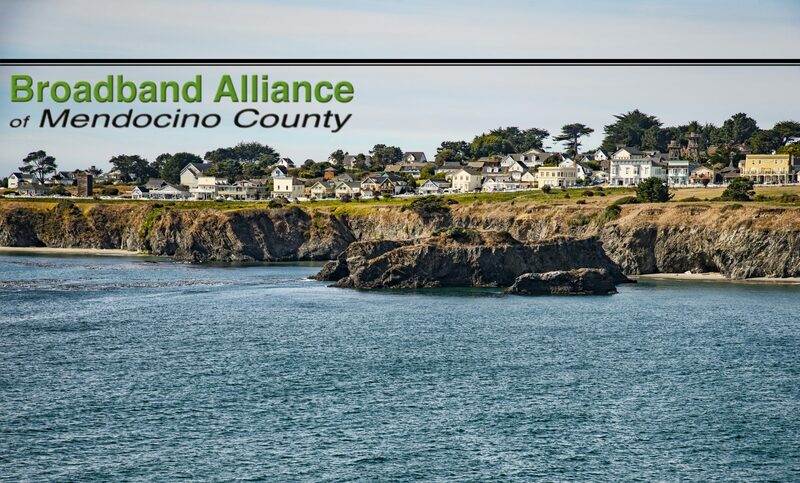 Please contact the Alliance at chairman@MendocinoBroadband.org with new information, as we will do our best to keep this list updated. To go http://www.broadbandmap.ca.gov/map/, put in your address, and click “locate.” Sometimes unfortunately, some rural addresses do not locate on the map. After locating your house, 3 tabs will appear at the top. These tabs tell you which providers are available in the technologies of fixed (cable, DSL, fiber, fixed wireless, etc), mobile (cell phones) and satellite services. If the map says that a certain service is available (for example, Comcast in the example map above), and you were told by Comcast they they do not provide service to your address, it’s REALLY important to convey that information to the CPUC by clicking the blue “send feedback” link that is directly above listings. This takes you to a short survey where you can provide this important feedback. Since designations are based on census blocks this information you provide gives an “on the ground” assessment of broadband availability for your location. Click the 5th icon down to explore the various Layers of the map. You can see census block and political boundaries, broadband availability by technology and speeds, public feedback locations, and much more. If you have filled out the “send feedback” survey, a dot should be visible at your location (no name or address though) for having provided public feedback.